Battery-powered trains are rapidly becoming the vehicle of choice for the replacement of diesel trains on non-electrified rail lines. Often there is not enough traffic on these lines to justify the ex­pense of erecting overhead line equipment (OLE) along the track. In many cases, the train runs under OLE for part of its route where the battery train can charge via its pantograph. However, sometimes additional charging is required. While it is possible to erect additional kilometers of OLE for charg­ing, it is more cost effective to charge the train via pantograph while stopped at a station using a very short length of overhead conductor rail and a 25 kV power supply. This week, the prestigious German Journal Elektrishe Bahnen (Electric Trains) published “A 25000 Volt Charging Station for Battery Trains” (Paid access). Written by Roger Bedell, Director of Opbrid Charging Systems at Furrer+Frey AG, this article describes how battery trains work, and how a very high voltage megawatt charging station can charge the train in just a few minutes at a train station. Normally, car fast chargers use about 400 Volts, and bus/truck chargers around 700 Volts. However, since electric trains already use 25,000 Volts AC when connected to the overhead lines above the track, it makes perfect sense to re-use the same high voltage equipment to charge a battery train. In this way, the battery train can both run on batteries and on electricity from overhead lines when available. Using a battery train can avoid the cost and difficulty of constructing overhead lines in many situations thereby bringing the benefits of electric trains to many new towns and cities. In the U.K. for example, electrified tracks only comprise around 35% of the total tracks. There are many old, loud and polluting diesel trains still running through English towns and cities. For example, in Wales, there are practically no electric trains, and the diesel trains are very old and need to be replaced soon. Electrification by installing overhead lines has been planned for many years in Wales, but with recent cost increases and budget cuts, a number of electrification projects are being postponed and canceled. This is forcing the train operators to replace the old diesel trains simply with newer diesel trains. The problem with this is that trains last a very long time, often over 30 years. Buying new diesel trains therefore lock in the CO2 emissions, noise, diesel costs, and pollution of diesel for more than 30 years. Battery trains can provide the same level of service, but with far fewer side effects. Charging a battery train for a few minutes at stations while passengers are loading can easily provide enough energy to run the train to the next charging point. Additionally, where the trains run up steep hills or long distances between stations, it may be worthwhile to install a few kilometers of overhead line to assist the batteries. The batteries can also charge when connected to the overhead line. 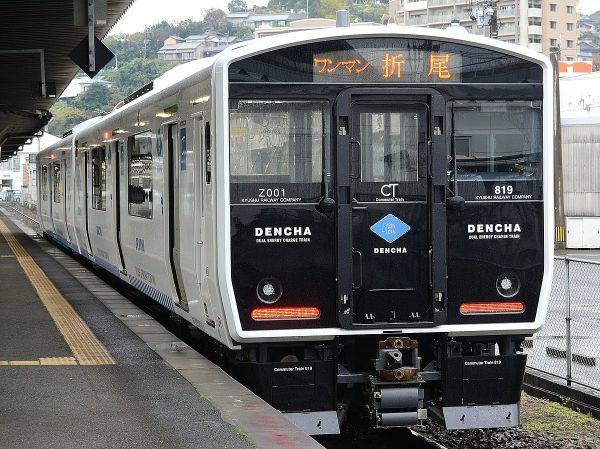 Battery trains are already in service in Japan, and several demonstration trains from different manufacturers have shown that battery trains work. Now, Furrer+Frey has shown how to build high voltage charging stations that are safe and backwards compatible with the existing track electrification system. Roger Bedell, Product Director for Opbrid Charging Systems at Furrer+Frey AG says: “Charging battery trains with our high voltage chargers while stopped at a station avoids the cost and long construction time of installing overhead lines along a track. Now, in just a few months, a couple of charging stations can be installed and a battery train can replace an old diesel train, bringing sustainable and quiet transportation to many places where this was previously thought to be impossible or uneconomic”. ), and is written in English. The article describes the business case for battery trains and these charging stations, and describes some features of the power electronics that are used. Additionally it proposes the use of grid storage batteries in areas where the grid is not strong enough to directly charge these trains. Hitachi Battery Train BEC 819 Set Z001 in service. Today, Opbrid announced their support for fast overhead conductive charging of the Volvo Electric and Electric-Hybrid Buses. Along with Siemens and ABB, Opbrid feels that this Opportunity Charging System (OCS) will rapidly become the standard for bus charging stations worldwide. This standardization will promote the rapid electrification of bus fleets by creating interoperability between buses and charging stations from different manufacturers. The Volvo compatible OCS consists of two fixed bars on the roof of the bus, and a pantograph on the charging station that lowers to contact the bars on the bus. This four contact CCS standards based system transfers very high DC power to charge bus batteries safely and economically. Fast charging for just a few minutes at each end of a bus route can power an electric bus 24 hours a day with fewer batteries. Opbrid operates independently and provides Volvo compatible charging equipment for on-vehicle components to any bus OEM. In addition, the Volvo compatible Opbrid Busbaar charging station is available for customers including cities, electric utilities, and bus operators. There are versions of the Opbrid Busbaar for curbside installations as well as for bus depots, from 60kW to 650kW power ratings. Opbrid Bůsbaar is a brand of Opbrid SL, based in Granada, Spain and Opbrid AB, based in Göteborg, Sweden, that is focused on providing ultra high power bus charging stations in Europe and worldwide. For more information on the Opbrid Bůsbaar, visit http://www.opbrid.com or phone +34 626 855 662 (Spain) or +46 72 260 3542 (Sweden). The Opbrid Trůkbaar brings automatic fast charging to the world of heavy duty electric trucks for zero emissions. The Trůkbaar is 100% compatible with the standards-based Opbrid Bůsbaar V3 for buses. While plug-in urban buses like the Volvo Electric Hybrid are natural candidates for fast charging en route, there are also very compelling business cases for fast charged electric trucks in diverse areas such as refuse collection, airport vehicles, ports, and delivery trucks. The Opbrid Trůkbaar is designed to be easily mounted on most trucks due to its compact, lightweight, and simple design. Both the Opbrid Trůkbaar and the new Opbrid Bůsbaar V3 share the same design by Furrer+Frey of Switzerland, with a pantograph which lowers from the curbside station, and an inexpensive transverse 4 contact bar on the roof of the vehicle. The Opbrid Trůkbaar and Bůsbaar V3 are designed for ultra high power mode 4 DC charging, up to 650kW. This amount of power transfer uses safe and reliable conductive technology transferred from the European electric rail industry by our partner Furrer+Frey, with over 90 years of experience in high power transfer to locomotives. This amount of power transfer enables scenarios such as super short charge stops and 24 hour operation. Since the Opbrid Trůkbaar and Bůsbaar are 100% compatible, cities can leverage their investment in bus chargers by also using them for rubbish collection, delivery vehicles and street cleaners. Vehicles of various heights can charge at the same station due to the large vertical working range of the charging station. The new design of the Opbrid Trůkbaar and Bůsbaar V3 also liberates designers to create curbside charging stations that blend into existing streetscapes, or that stand out as elegantly sculptured street furniture. 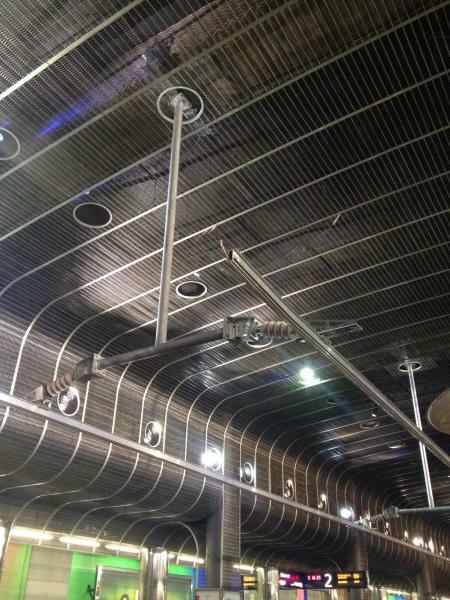 This is because the overhead pantograph is compact and hidden underneath a weatherproof cover. This means that the mounting post as well as the weatherproof cover can be almost any shape imaginable, giving designers unlimited freedom. Of course, safety is our utmost concern, so the Opbrid Trůkbaar and Bůsbaar V3 have been designed to conform to IEC and ISO standards for high power DC charging, with 4 contacts, correct contact sequence, and built-in verification of contact surface before charging. The parking tolerance is quite broad and reliable due to our years of experience making bus fast charging stations. An optional insulating cover for the on-vehicle part is available to add an additional layer of safety. The station retracts upward to over 4.5 meters when not charging to fulfill traffic regulations. The Opbrid Trůkbaar and Bůsbaar V3 will be on display at the IAA 2014 in Hall 13, Stand F12. The two companies work together to offer the Opbrid Trůkbaar and Bůsbaar V3 high power charging station for Heavy Duty vehicles. Furrer+Frey AG (CH): 90 years experience in high power transfer to vehicles (trains, trams, trolleybuses), worldwide presence. Opbrid SL (ES): Focused solely on fast charging stations for heavy duty vehicles since 2009, providing IP, marketing, electronics and software. Proven safe transfer of very high power. 4 contact IEC61851-23/24 CCS based, emphasis on safety. Fuel consumption is reduced by over 80% and the total energy consumption by over 60%. The results of the field tests being conducted in Gothenburg show that Volvo Buses' plug-in hybrid more than meets expectations. “Our performance results are even slightly better than we had anticipated. The plug-in hybrid consumes less than 11 litres of fuel for every 100 kilometres. That's 81% less fuel than the equivalent diesel bus consumes,” says Johan Hellsing, who is the Project Manager for the field test at Volvo Buses. Moreover, the figures for the overall energy consumption, including both diesel and electricity, have exceeded the target. Here, the plug-in hybrid gives an energy saving of 61%, compared to a corresponding diesel bus Euro 5. The field test in Gothenburg began in June 2013 and includes three plug-in hybrid buses, whose batteries are recharged at the terminals. This makes it possible for the buses to run on electric power for most of the route. The field test of the plug-in hybrid buses in Gothenburg involves 10,000 operating hours and will continue for most of next year. A demo project that will bring eight more plug-in hybrid buses into service will commence next year in Stockholm. A number of European cities are showing a keen interest in the plug-in hybrids. Hamburg and Luxembourg have already signed contracts for supplies of the buses in 2014 and 2015. Volvo Buses is working together with the city councils, public transport authorities and providers to develop long-term sustainable solutions for public transport. Volvo Buses plans to commence commercial manufacture of plug-in hybrids towards the end of 2015. Those engaged in the plug-in hybrid project in Gothenburg are Volvo Buses, Göteborg Energi, Business Region Göteborg, Trafikkontoret and Västtrafik. The project is co-financed by Life+, the EU's financing programme for environmental projects. The bus is fitted with an electric motor which is powered by a lithium battery. It also has a small diesel engine. The bus is recharged from the mains power supply via an energy storage unit mounted on the roof. It takes 5 or 6 minutes to recharge. The bus can run exclusively on electric power for approximately 7 kilometres - without any noise or emissions.